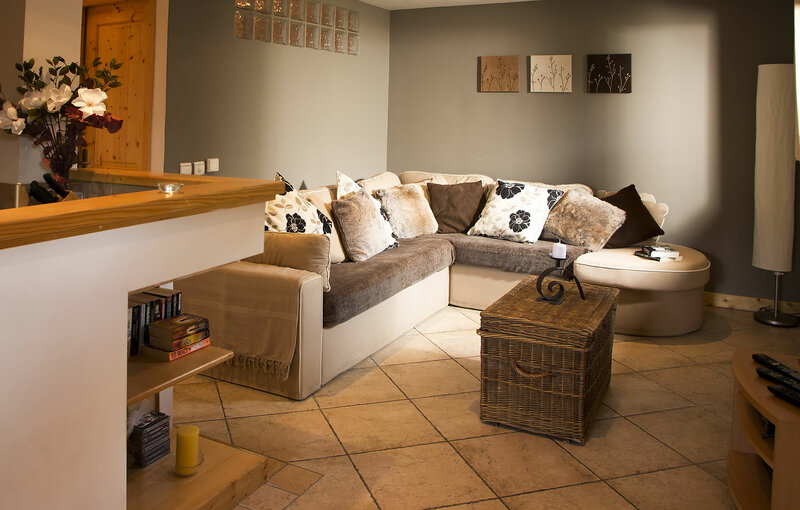 Apartment Ambiance is 150 meters from the lifts in a quiet yet convenient location. 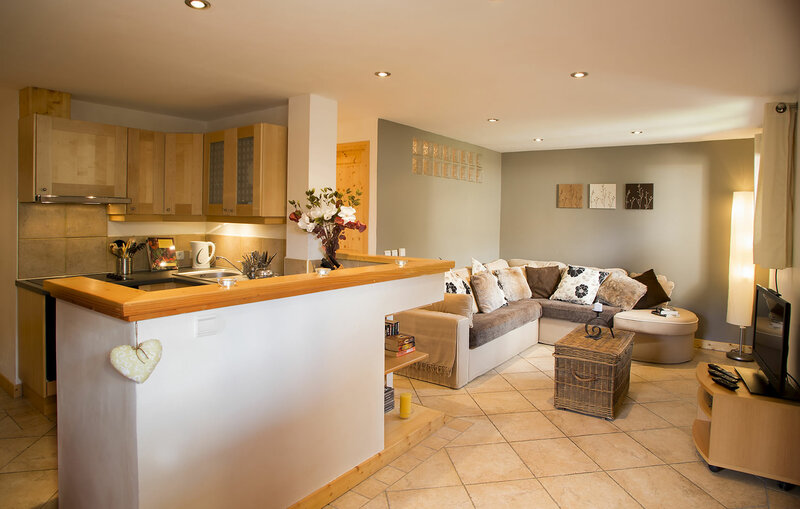 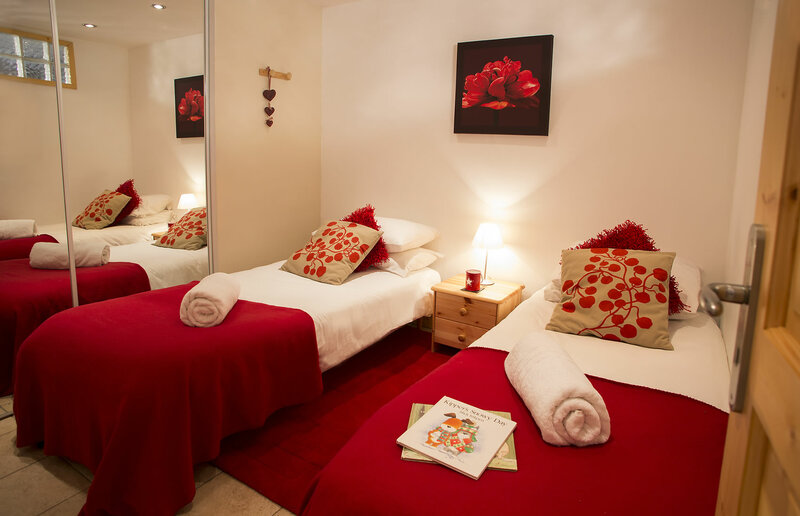 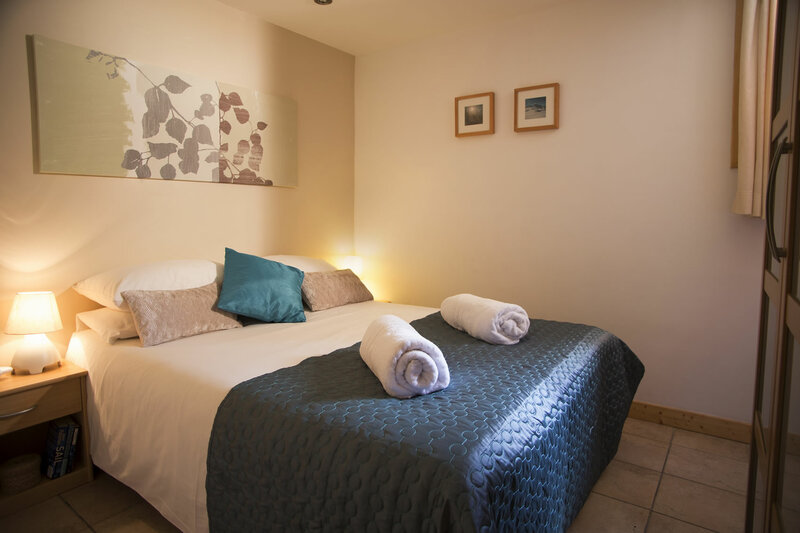 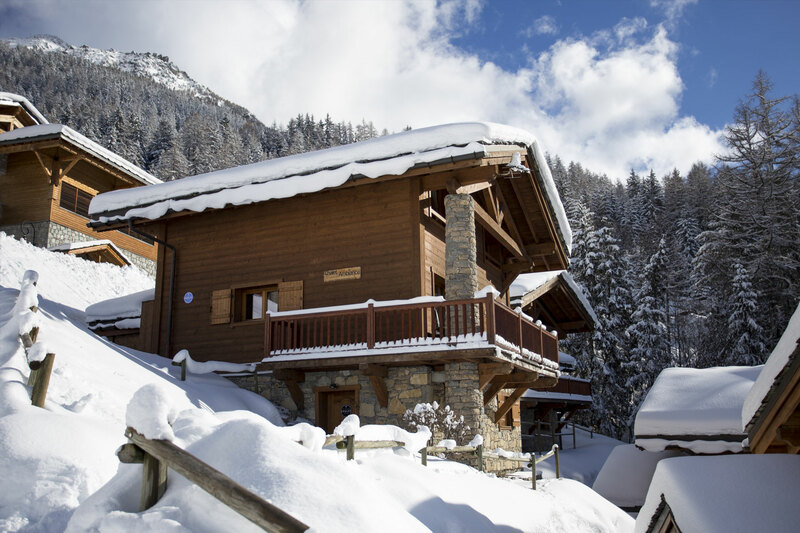 The apartment can also be booked with the adjoining chalet allowing it to sleep 12. 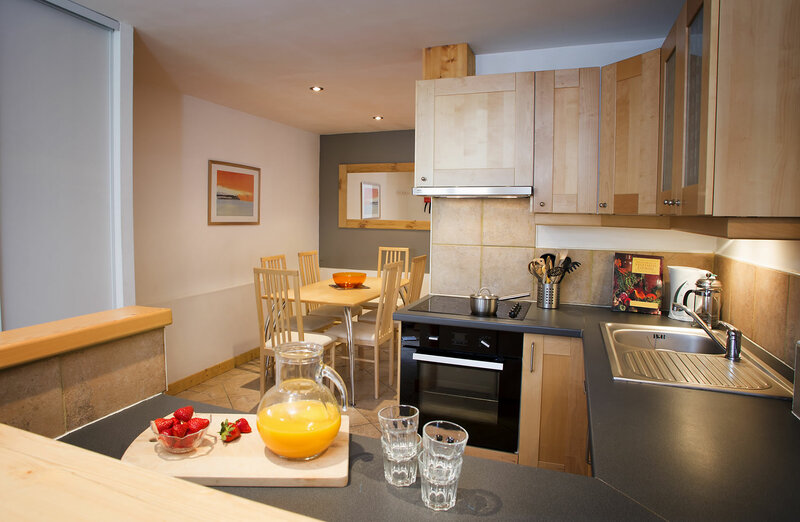 There is a spacious, living and dining area with, TV, DVD, free WiFi, Wii games console, iPod docking and a well apointed kitchen. 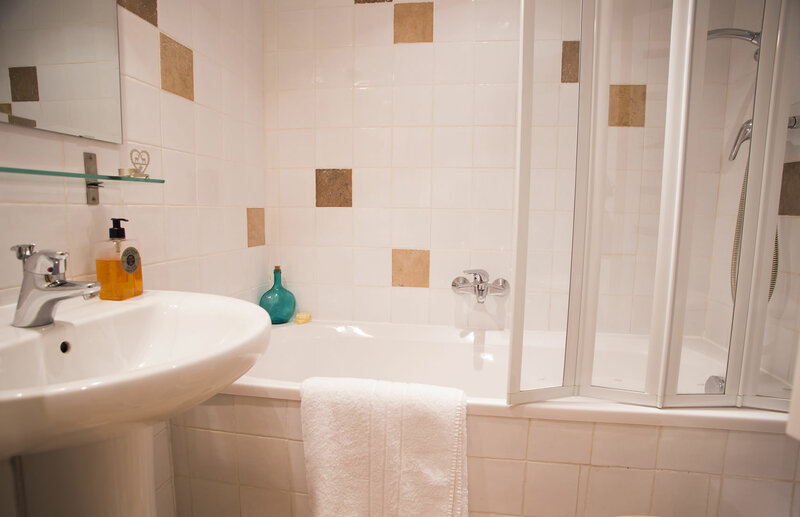 There are 2 bathrooms and 2 bedrooms, one double with an en-suite bathroom and a twin room across the hall from the main family bathroom.